When you first see that David Sedaris has a new book out, you imagine you know what to expect: Hilarious observations about the modern world from a unique perspective, delivered in the form of complex, well-shaped narratives that read like intimate conversations. You think of his famous SantaLand essays, or his tragicomic stories about his family, his struggles with addiction and his sexuality. Sedaris has definitely carved out a brand over the last few years, which makes his new book Theft by Finding even more surprising. Instead of a collection of polished essays bursting with Sedaris’ signature observational humor, it's literally his diary. Sedaris has famously kept a diary almost literally his entire adult life—but then, so have many people. Not everyone's diary is publishable or even interesting outside of perhaps a small cadre of friends, and while it's not difficult to imagine that even in his most casual, unplanned moments David Sedaris is a sharp and funny writer, it's still kind of amazing that his raw, in-the-moment writing that he never imagined would be seen publicly is so sharp, interesting, and clear. In short, David Sedaris’ diaries form what is essentially a narrative—if you were to write a novel about David Sedaris in diary form, it would look more or less like Theft by Finding. That makes it a remarkable reading experience. Sedaris admits to slight editing in terms of deleting some entries, which is understandable, but swears he didn't edit the entries that did appear to make himself look better. Theft by Finding is also just volume 1 of the truly epic diaries, ending just as David Sedaris began to attain real success and form into the celebrity persona we all know today, so there's a lot more to come—which is exciting, because Theft by Finding lives up to all our expectations concerning how interesting, perceptive, and funny David Sedaris is even when he doesn't think anyone is listening. To prove the point, here are ten things you'll learn about David Sedaris in the book that will surprise, entertain, and move you. Theft by Finding, by David Sedaris. Sedaris’ substance issues are pretty well known, but it’s surprising to learn just how far back his drug use stretches, and how experimental he could be. The most surprising part? In most of the diary entries his drug use seems joyless, not fun. There’s a definite sense even in these unedited, raw expressions that he’s bored, unhappy, and compelled by forces beyond his control, not simply having a good time. In fact, at no point does Sedaris’ drug use ever feel like a good time. It’s easy to imagine that someone with Sedaris’ writing chops always knew he would one day be recognized as an exceptionally entertaining writer, but his diaries reveal two surprising facts. First, he didn’t know he wanted to be a writer until he was older, despite the fact that he wrote every day in his dairy. Second, these entries reveal a depth of insecurity that’s surprising, revealing that like the rest of us Sedaris didn’t know what to do with his life for a very long time, and was alternately lonely, depressed, angry, and uncertain. One source for that anxiety and insecurity was the poverty Sedaris lived in for much of his youth. Although his family helped out quite a bit, Sedaris worked a series of low-paying jobs and struggled with the basics of life for a long time—often resorting to creative meals just to survive, and spending a lot of his early diary entries fretting over money and his unpaid bills. Naturally, he also mined this situation for plenty of dark humor. 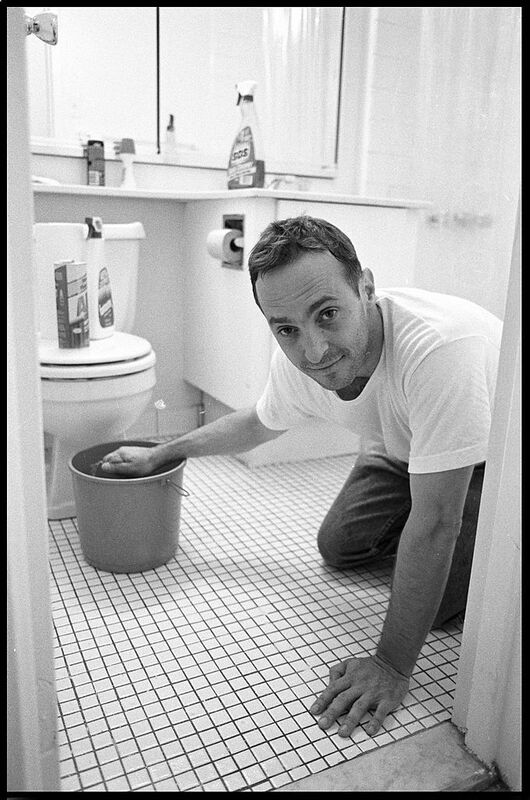 Speaking of those low-paying jobs, it might surprise you to learn that David Sedaris, celebrated humorist and best-selling author, did just about every possible menial job there is, from working on a farm to painting houses—including, of course, his famous stint working at SantaLand. When Sedaris recounts some of his early attempts to meet people and begin a relationship, his penchant for attracting the sort of people who make for great stories—vital to his career and his art—becomes a hindrance. More than once you’ll be heartbroken for him as his hopes are dashed again and again, often in the cruelest ways (proving that the diary entries weren’t edited in any significant way, as these are no doubt still painful and embarrassing moments for Sedaris today). One of the most surprising aspects of the diaries is how conflicted Sedaris was about his homosexuality. In the earliest entries there’s no mention of it at all, and as time goes on he makes oblique references—almost as if he knew that someday his diary would be public, and he was hedging his bets. In some ways Sedaris’ entries trace the evolution of society’s view on homosexuality, from hiding it from everyone to proudly being himself. Fans of Sedaris’ work will easily see the roots and seeds of his later, polished essays. SantaLand makes and appearance, offering a few new nuggets of hilarity, as does his efforts to learn French detailed in Me Talk Pretty One Day. His entires are surprisingly finished, and it’s easy to see—even if Sedaris could not at the time—that he was a natural writer with a gift not only for meeting interesting, weird people, but for observing the off-kilter details that make his work genius. Sedaris doesn’t make a big deal about his alcoholism; in his youth his drinking wasn’t much different from most young people’s experiments, and as he grew older his drinking was just the way things were. It wasn’t until he became successful that he realized how much damage his drinking was doing—because promotion came first, he wouldn’t be able to have a drink until later in the evening, which snowballed into hellish hungover mornings that finally showed him just how bad things had gotten. Instead of the witty bon vivant who always knew he would be famous, we see a lonely man struggling with his sexuality, with money troubles, with substance abuse, and with insecurity and a lack of confidence. The most surprising thing about David Sedaris’ diaries? That he’s just like us. It should give everyone hope that their breakthrough is just around the corner. Finally, that’s the take-away from Theft by Finding: David Sedaris was always a very funny man, even when he lacked the confidence to see it for himself. Not every entry is comedy gold, but there’s enough genuine hilarity in there to prove that Sedaris was simply born with a keen sense of the absurd. Theft by Finding is a fascinating experiment that pays off for both long-time fans of David Sedaris and those just discovering his brand of smart, self-deprecating humor.